Ok, so I know that Christmas has been and gone but for those of us that didn’t have a traditional UK Christmas I’m celebrating late. 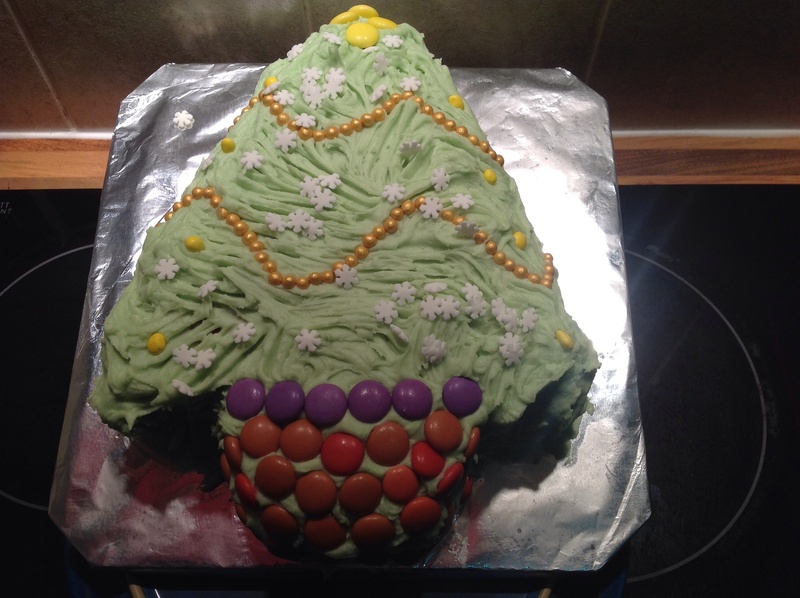 I made the sponge for this before we went away for Christmas and popped it into the freezer as I knew I would want to take a cake to work first week of the New Year. It so happened that we had a training session this afternoon and, bearing in mind the topic, a sugar hit was essential! As it happened the training session didn’t take place for technical reasons but we still ate cake!! To be honest it was waaaaaay to sugary for my liking but that didn’t stop me having three slices over the day!! Diet starts next week……. 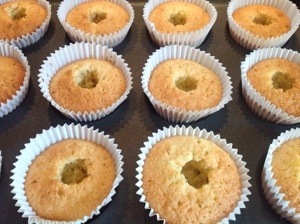 The recipe was my basic sponge recipe but I swapped vanilla for almond essence which gave it a bit of a marzipan taste. 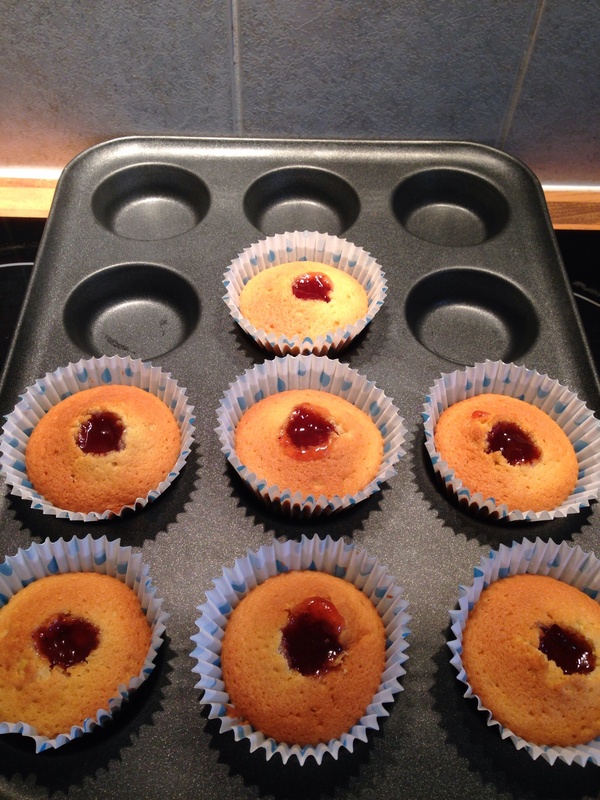 I also added a layer of strawberry jam for the middle so it was almost a Bakewell tart flavour. 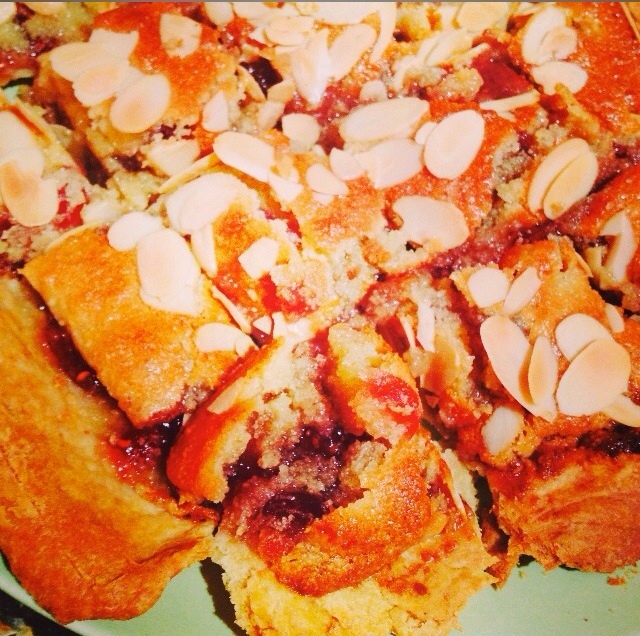 This is her Raspberry and Almond Tart. For more information please go to her blog at jessicalitt.wix.com for more details. If I could figure out how to add the link then I would, sorry for my poor technical ability!! 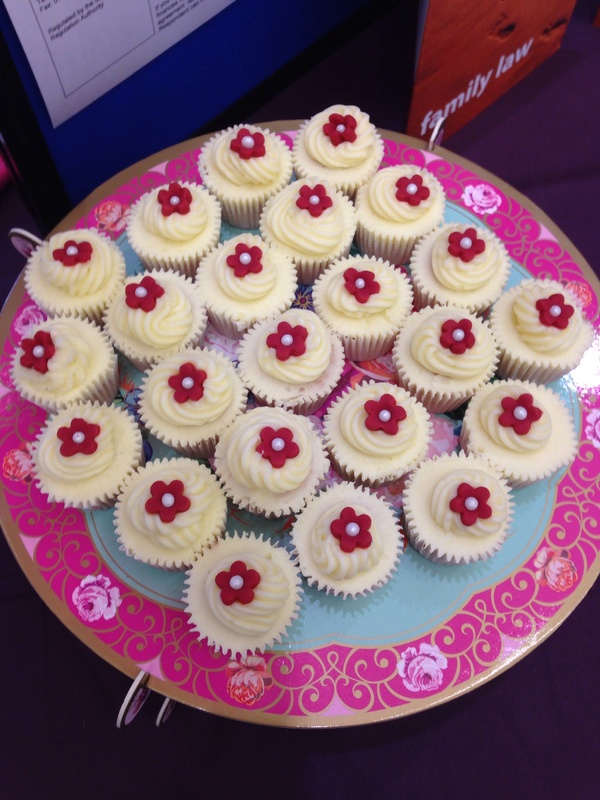 Mini Cupcakes for Exeter Refuge……..
Today we we supported SAFE (Stop Abuse For Everyone) by participating in a ‘cafe’ event. ‘We’ are Family Lawyers and regularly represent the survivors of Domestic Violence in local courts however, due to the withdrawal of Public Funding in the UK for many cases, today’s event was about supporting those who have no recourse to public funds. It was a good opportunity to support a worthwhile cause and meet some interesting people. 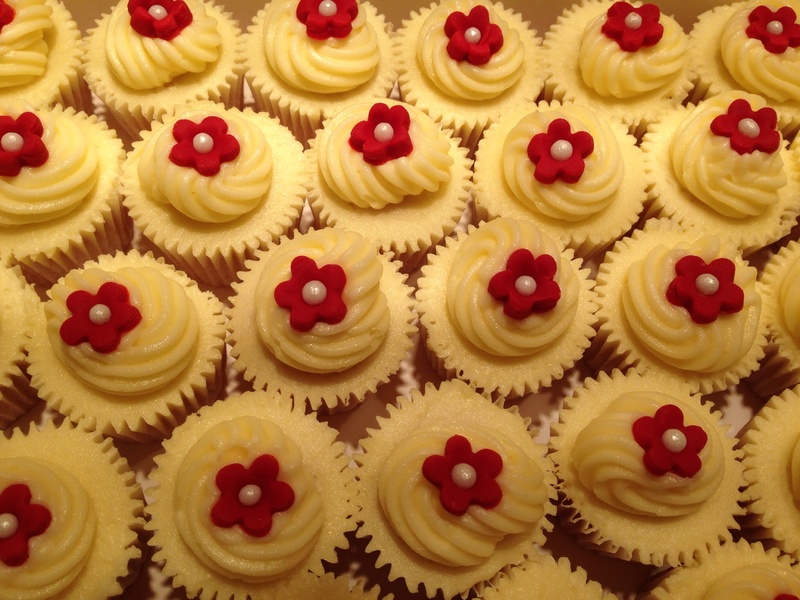 So, soon after 6am this morning I was decorating 72 mini cupcakes……and in corporate colours!!!! That’s dedication to my job, even if I say so myself. It gave us an advantage over the other participants. Free food always brings in the crowds! Add flour, baking powder vanilla essence and eggs carefully and mix. Now, I froze these little beauties because I made them overs the weekend (when I had time), defrosted them overnight and iced/decorated that at 6am this morning. 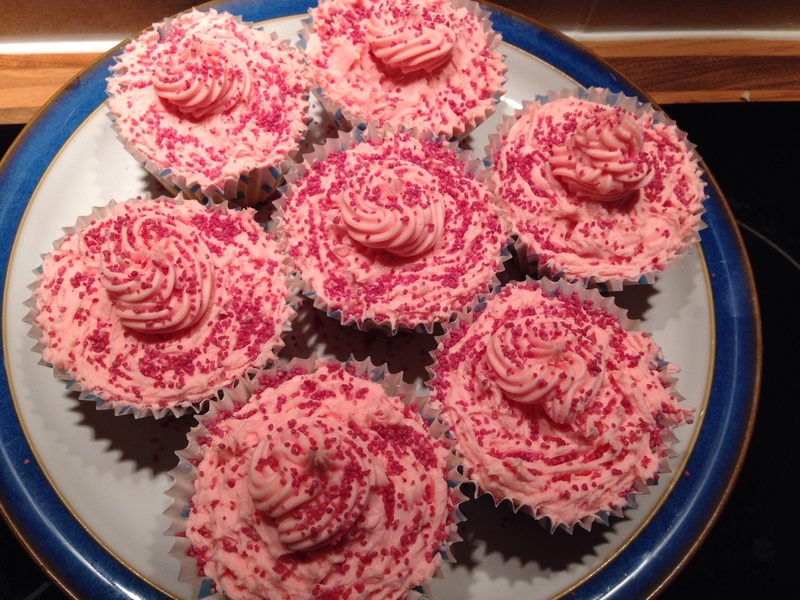 We had so many positive comments about the cakes I’m beginning to question my career choice…..
And then they were iced……. I love Sundays! Makes me feel like a bit of a domestic goddess. 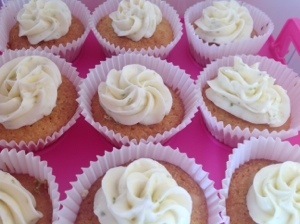 However tomorrow it’s back to the reality of my real job but taking homemade cakes to work helps lighten the load. 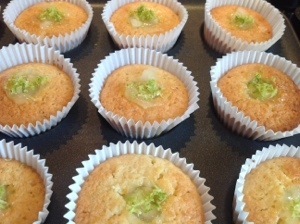 However, having baked all those little beauties this morning I then had to top them. 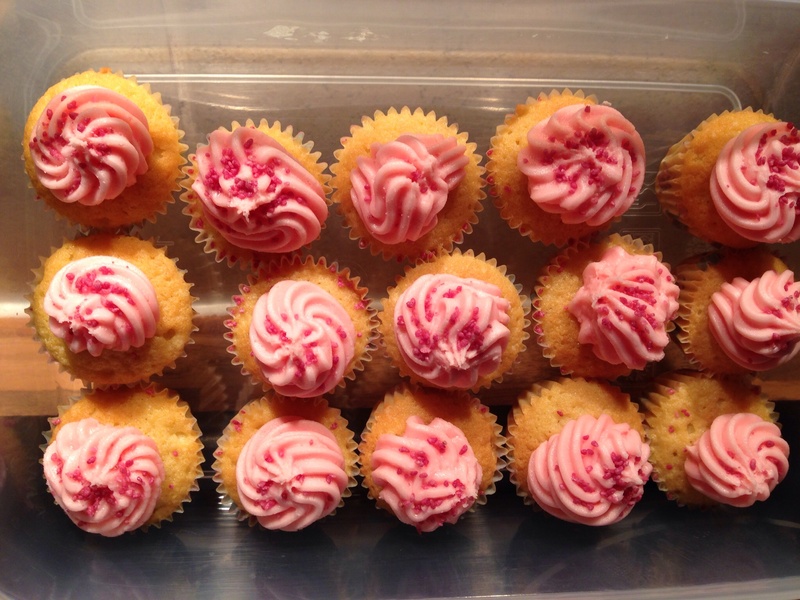 These ones are filled with Strawberry jam, so naturally needed a pinkish topping. 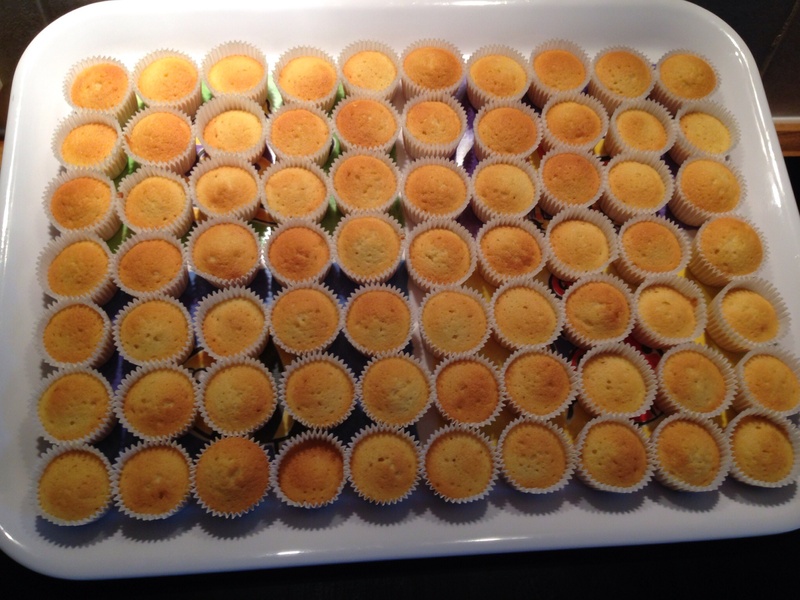 And this is a selection of the mini muffins, they look a bit like Iced Gems!! 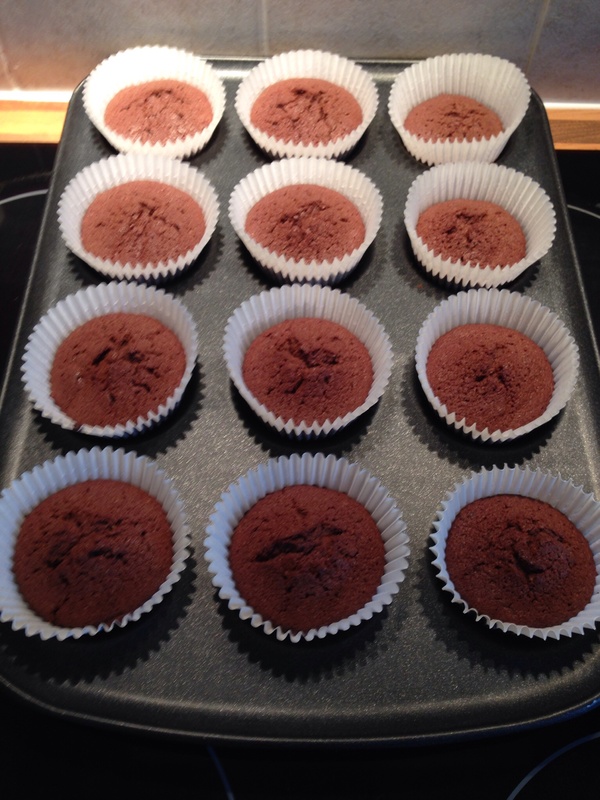 Whatever quantity you make, simply remember 2 parts icing sugar to 1 part butter. The butter needs to be at room temperature. I start by creaming the butter with the good old electric hand whisk, on its own, to break it down a bit. Then add sieved sugar spoonful at a time and mix by hand. You can use a blender but, until I find a way to stop dusting my entire kitchen with icing sugar I do find the ‘slowly and carefully’ approach best on the long run! When it’s well enough mixed in I then use the hand blender. Add the colouring a drop or two at a time until you have the colour you want. Then simply put in a piping bag with a star shaped nozzle and pipe away. 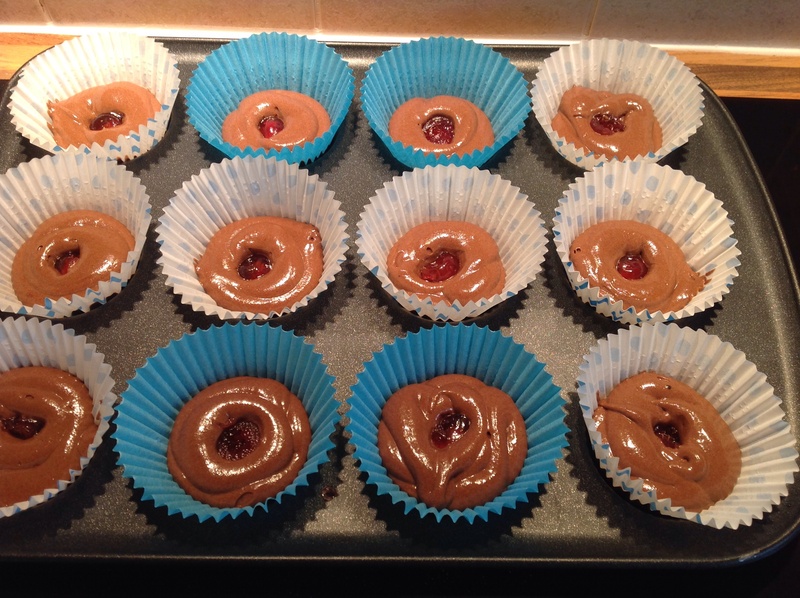 Sprinkles and other toppings can be added at your pleasure………. 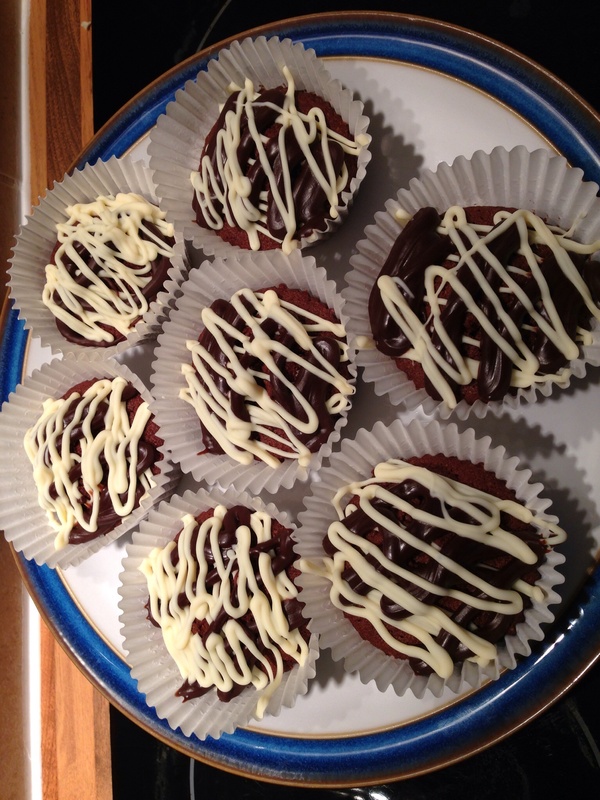 The cup cakes above were topped with melted white chocolate and melted dark/plain chocolate drizzled over the to. You can either melt in the microwave or in a bowl, over a pan of boiling water. When I have topped my cakes I do pop them in the fridge for about half an hour to set the topping, but no more than half a hour. That’s all for this week………. Oh wow. What a morning! There is something quintessentially English about my Sunday mornings. This morning started with a lovely church service on the radio: anyone who knows me knows that I’m not hugely religious but I guess all those years of Sunday school when I was a child and religious education at school have instilled a sense of morality and right and wrong as well as a love of choral music, it’s very comforting. This mornings service came from one of the churches at Manchester University, just down the road from where my daughter is living so even more emotional and meaningful. That was followed by Radio 4 The Archers Omnibus Edition: for those of you reading this from outside the UK if you want to know anything about rural, farming country life in England (as well as a good dose of soap opera) this is the one for you. 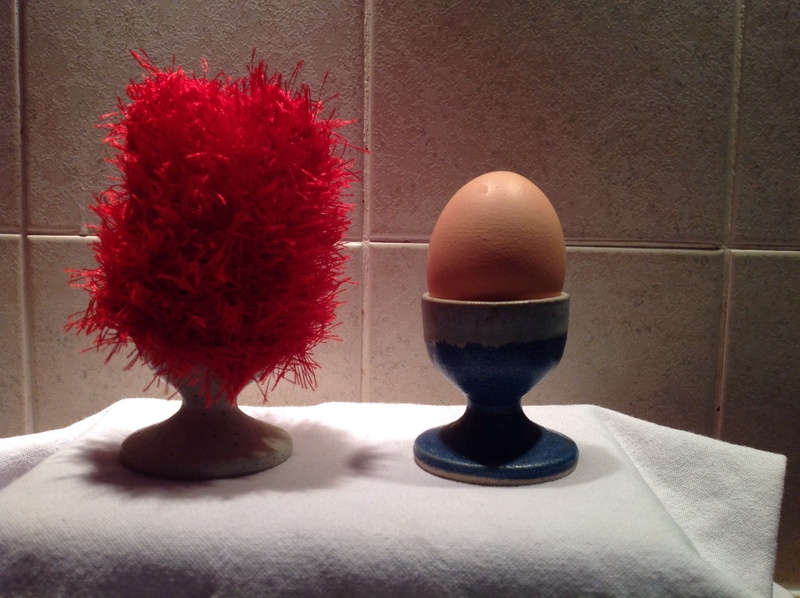 It had become synonymous in my mind with baking because I bake to the Archers (Sunday morning). I don’t watch ANY soap operas on tv but this is a real treat, it’s gentle with very little maliciousness and very easy listening on a Sunday. 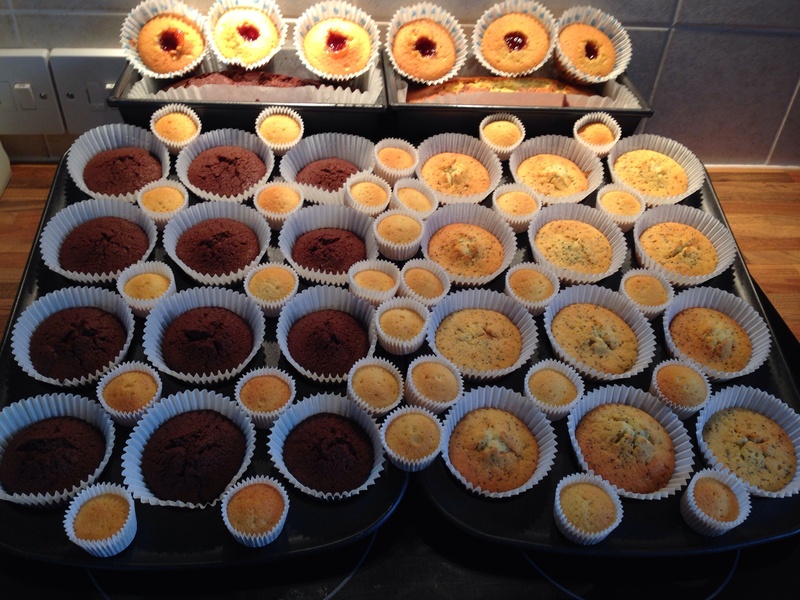 Today, I have baked n baked n baked!!!! 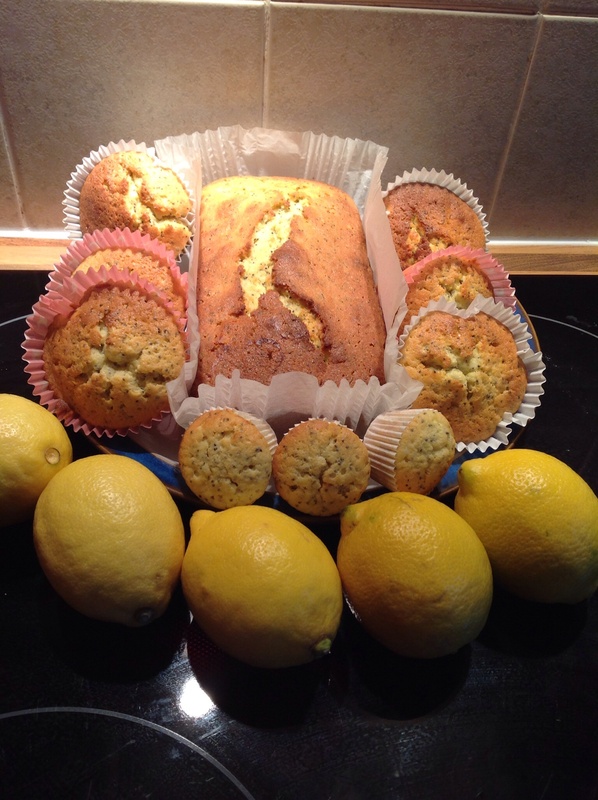 And all from one basic sponge recipe, so simple…….